My phone rings quite often — as has been the case during these many years since my neighbors in the Church Hill section of Richmond helped to make me a Virginia state senator in 1969. I have enjoyed sharing and debating ideas from the time I was a child in the barbershop during my formative years. Be the issues local, state or national, I have always believed a healthy give-and-take creates solutions that make our communities better. When I can help add light and truth to the public conversation, I have never shied away from sharing my opinions — whether it is in the numerous written commentaries I have provided for newspapers and Web sites, or during the times when I am asked to share my thoughts with the friends who host television and radio programs across the dial. I will use this blog, Wilder Visions, to engage and further the public dialogue. I will highlight issues of importance to my community in Central Virginia, the people of the Commonwealth of Virginia, and to citizens across this nation — perhaps even those beyond our shores. I love Richmond. I love Virginia. And I love this nation, too. A docile, pliant populace is not what made this the greatest, freest nation ever to grace this globe. I hope to use my thoughts on this blog to help keep it that way. I look forward to sharing my continuing vision for Richmond, Virginia, and beyond here on this Web site. Thank you, and let the discourse begin. 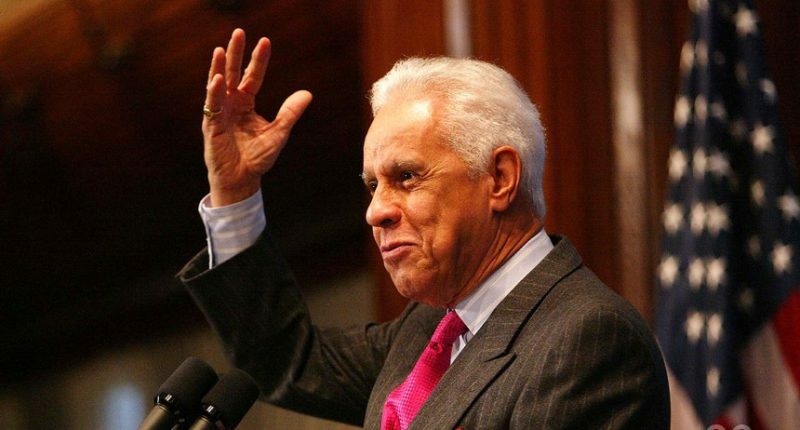 During more than 50 years of public life, L. Douglas Wilder has been at the forefront of many historic moments. In 1969 he won election to the Senate of Virginia from his hometown, Richmond, and in the process became the first African-American elected to that body since the end of Reconstruction. While serving in the Senate he rose to the chairmanship of several powerful standing committees during 16 years of service. By the time he began his 1985 campaign to become Virginia’s 35th lieutenant governor, Wilder was recognized as one of the commonwealth’s most powerful legislators. Many pundits predicted Virginia was not ready to elect a black statewide official in 1985, but Wilder set out on an extensive tour that took him to all 130 counties and cities in the commonwealth. He won the election, becoming the highest elected black official in the country at that time. Four years later he again set out on a tour of the commonwealth, this time as a candidate for governor of Virginia. Again, some pundits doubted Virginians were ready to elect a grandson of slaves as their state’s chief executive. Again, voters of the commonwealth proved they were ready, choosing Wilder to serve as the 66th governor of Virginia. During his term, Governor Wilder faced a severe budget crisis during a deep recession but managed repeatedly to balance the budget without raising taxes. Virginia was twice recognized as America’s best-managed state during his tenure as governor. Following Wilder’s years as governor, he became a respected political, social, and economic commentator in addition to teaching classes at Virginia Commonwealth University. In the early 2000s, a broad array of Richmonders reached out to Wilder and asked him to help lead an effort to reform the governing structure of the city of Richmond. Ultimately, residents of the city voted overwhelmingly in 2003 to restructure city government to create a strong-mayor form of government. In 2004, Wilder was persuaded to run to become Richmond’s first popularly elected strong mayor in a half century. 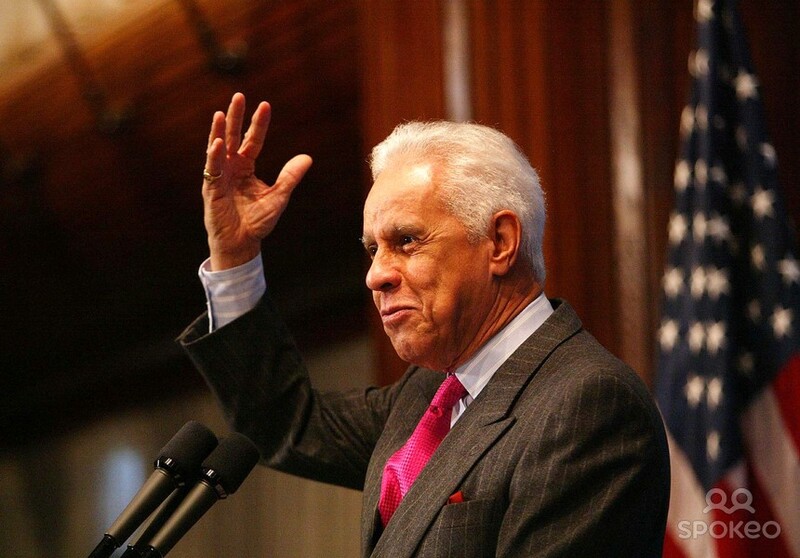 When Wilder retired from the office of mayor in 2009, he returned to his role as a Distinguished Professor at the L. Douglas Wilder School of Government and Public Affairs at Virginia Commonwealth University, while also serving as a national commentator on public affairs. Wilder graduated from Virginia Union University in 1951 with a degree in chemistry. He earned his Juris Doctorate from the Howard University School of Law in 1959. He is the father of three children, Loren, Lynn, and Lawrence Douglas, Jr., and resides in Richmond, Virginia.